« Children’s books as inspiration . . . Ancient History for little ones . 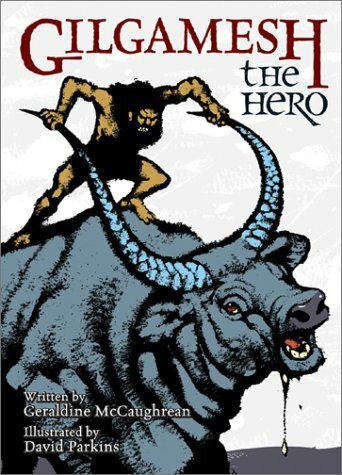 . .
Gilgamesh the Hero by Geraldine McCaughrean–this abridged and edited edition of civilization’s first epic is delightfully retold by the award-winning and expert lyrical crafts-woman McCaughrean. This epic is important for the literary elements it introduces (see What is the Heroic Quest? in my other posts), and for the fact that it is mankind’s first recorded epic work. It is a clear reflection of Sumerian ideology and many elements within this story are also reflected in Biblical narratives as well. The story of Utnapishtim is another telling of the biblical flood story of Noah. Contrasting Utnapishtim’s story with Noah’s makes for a wonderful exercise in world views. 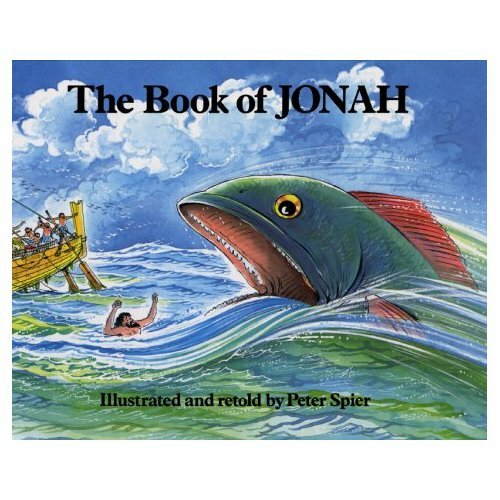 Another all-time favorite of mine for this period of history is Peter Spier’s Book of Jonah. While the story of Jonah is a seminal part of our cultural heritage, not until I read Spier’s edition did I really understand the story behind the story. What the bible doesn’t tell us is that Jonah feared going to Nineveh because Nineveh was the seat of the hated Assyrian Empire. Known for their cruelty and draconian punishments, Jonah’s fear is completely understandable. Mr. Spier’s lovely watercolors and thorough back matter make this book an essential part of an ancient history study. For Ancient Greece the inimitable classic of Greek mythology continues to be D’Aulaire’s Greek Myths by Ingri and Edgar Parin d’Aulaire. This husband-wife author/illustrator team first won acclaim when they published the Caldecott Medal winner of 1940–Abraham Lincoln. Using an old-world craft of stone lithography, the artists managed to imbue their illustrations with a lovely depth of color and beauty. 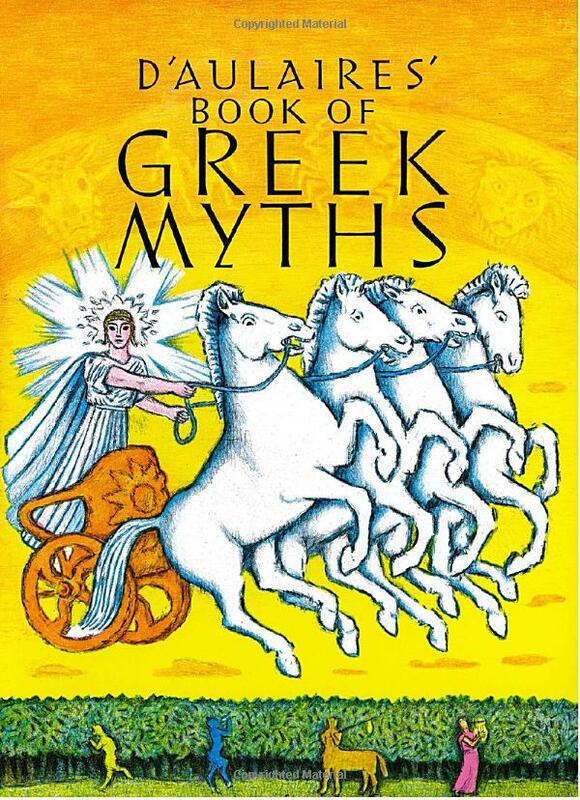 While their book on the Greek myths does not reflect that craft very well, it does present their classical background and their ability to make an extensive pantheon understandable to the lay reader. They also have a homey and comfortable understanding of what is appropriate for the young reader and thus, make these tales suitable for even the very young.